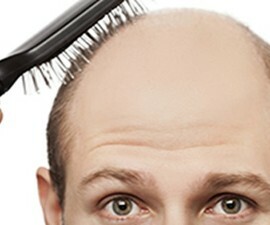 Receding hairline that worsens over time is usually linked to male pattern baldness (MPB), a hereditary condition. It is not easy to treat – and the treatment is more intended to control it. Even if you stop taking the treatment, it is likely to recur. However the prognosis of this hair loss problem varies! How long does it take? The length of receding hairline takes is one of mostly questioned by many people, especially those who experience this problem. But there is no ‘one answer’. In other words, the answer can vary. It is a kind of hair loss problem commonly found in men. It rarely affects women, including those with female pattern baldness. It can starts in adolescents such as before the age of 20, or may be noticed for the first time in elderly ages. But in general, it usually starts to occur in the late 20s or early 30s. How fast the problem progresses can vary from man to man. Typically, it develops gradually as the age. See the picture of how receding hairline progresses over time in here! 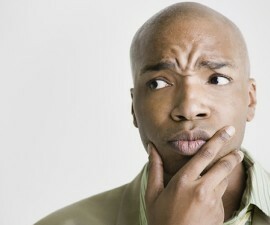 In most men with baldness, the clearly sign of baldness is usually noticeable at the ages of late 40s. Even about 85 % of men experience a significant thinner hair by the age of 50 – according to the American Hair Loss Association. Receding hairline of MPB is usually related to the hormonal condition in which DHT, a hormone which relates to testosterone, affects the hair follicles – causing thinner and shorter hair shaft. The level of DHT can vary, too (another reason of why how long receding hairline takes is hard to predict). Whether or not you take particular medication that can make your hair loss problem get worse! Does it always lead to baldness? Again, the outlook and prognosis of receding front hairline can vary. Though many times it leads to partial baldness, or even completely baldness – but in a few cases, it doesn’t cause baldness. This is dependent on the kind of treatment you take. With appropriate treatment, the problem can be managed as well. Some treatments are available for coping. These include non-surgical and surgical treatments. Non-surgical treatments are available in a wide range of options. But typically, propecia is often recommended. It can control the production of DHT, the common underlying condition of receding hairline (as noted before). It is also approved by FDA. But to keep safe, take it with prescription (see more about propecia in here)! For surgical treatment, hair transplant is one of the options. The good news, most men with male pattern baldness can take hair plant. But the same doesn’t go for women with female pattern baldness since they usually have thinning hair in their entire scalp, making it difficult to find a stable donor site for hair transplantation. While propecia and other non-surgical treatments usually cannot stop receding hairline permanently (the problem is likely to return if you stop taking the treatment), hair transplant may provide permanent result. The key point is whether or not you have a stable donor site. Therefore, it’s also important to take hair transplant surgery not too young! Genetic trait and age are not modifiable risk factors. You cannot change them. 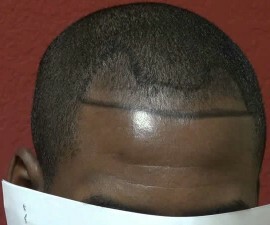 However, there are also plenty of options to improve your hairline. See also this comprehensive guide to cope with receding hairline!